The 1st of December, the day Greater Romania was born a century ago, is evoked in a revealing tour de force at 1 Belgrave Square. 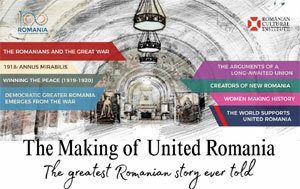 To mark the occasion and to celebrate Romania’s National Day, Dr Marius Turda of Oxford Brookes University will be honouring the most important event in Romanian history in a talk entitled ‘Greater Romania 1918: Some Historical Reflections’, outlining lesser-known aspects regarding the union of the principalities, while at the same time dispelling the misconceptions surrounding it. The talk will be accompanied by an on-screen presentation of the ‘Science and Ethnicity: Anthropological Research in Romania during the 1930s’ exhibition, an illustrative foray into the ethnic specificity of the Romanian nation, presented to the public for the first time by researcher and curator Marius Turda. Earlier in the day, the event will kick off with the screening of ‘Untamed Romania’, a spellbinding documentary that reveals the beauty and diversity of Romania’s nature and wildlife. Throughout the whole day, the ground floor lobby of our newly clad premises will host a book stand welcoming all those with the most bookish of tastes to take part in a Romanian book exchange. Just bring your own copy and you can pick any of the volumes in Romanian available at the stand! 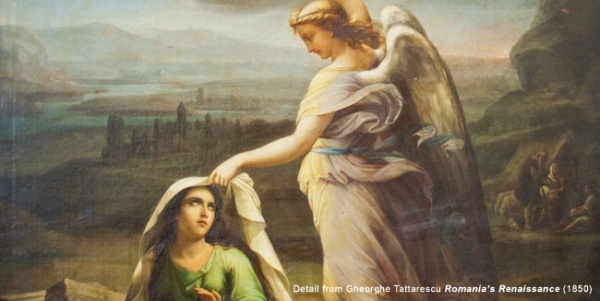 16:00 - 17:00: ‘Greater Romania 1918: Some Historical Reflections’ lecture by Marius Turda. In English. Please note that the Romanian book exchange, an initiative of the Romanians Love Books group of volunteers, will take place between 14:00 - 18:00. Produced by Off the Fence and supported by Auchan Retail Romania and The European Nature Trust. Narrated by Romanian actor Victor Rebengiuc and British actor Mark Strong. From the high Carpathian peaks to the snaky shores of the Black Sea, ‘Untamed Romania’ offers a glimpse into one of the last untouched gems of Europe through man’s humble view upon the sublime. Rather than unveiling the mysteries and legends of the region, the film invites the viewer to experience the visual poetry of the landscape and the carnivorous struggle for survival, highlighting the environmental fragility and the urgent need for conservation for generations to come. Free entry. Limited seats for the talk at 16:00, please confirm your attendance on EVENTBRITE. PLEASE NOTE: It is not required to book your seats for the film screening, everyone is welcome to attend.